The Silent Auction Template makes the operation of a silent auction easier. This template keeps everything in order, making sure no detail is missed. This template is free, customizable and child’s play to use. 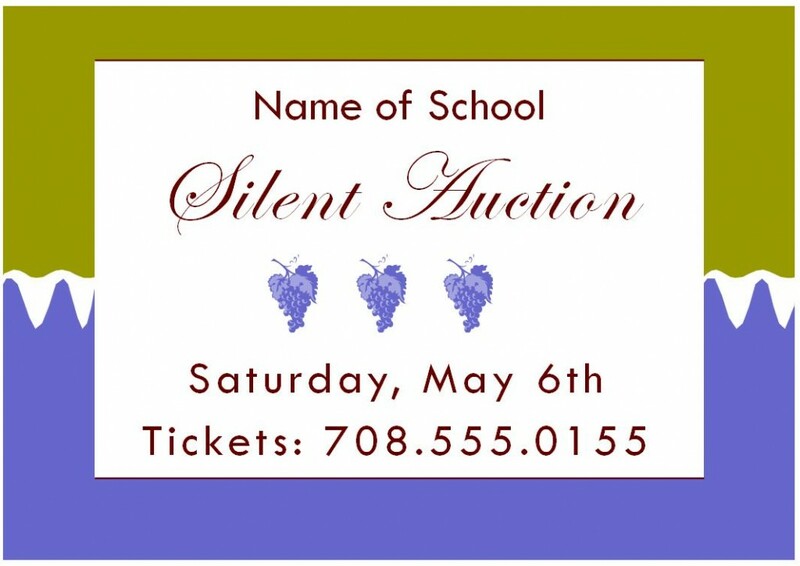 The Silent Auction Template gives the name of the auction company, a thank you letter section, donation forms and bid sheets. There are other spaces for any information the event planner feels is important to the auction product. The silent auction template also carries donation request information and letters to solicit donations from sponsors. This is a very important document. This section holds information people bidding will want to know about the product. This tells all about the item they are bidding on. This helps you inform customers so they can make an informed decision. This is very much appreciated by the people doing business with your organization. The bid sheet gives the name of the organization, monies spent on the item, tracking numbers and bid amounts. This sheet holds a wealth of information keeping things in order and documenting auction transactions. These notes are sent out to people, asking for donation to help with the auction. On this letter clearly state the purpose and give all information on your organization and how you can be reached. Tell them all about the auction and what the organization plans on doing with the money. This silent auction template form is filled out by parties bringing in the donations. This form lets the donors list everything about the item including the cost. The event planner will use this information to help make the event a success. Donors will list the year of an item if it is a vintage product, previous owners or any other important documentation relative to an auction. There is also a place to give the people interested in the auction a chance to register. You can send them confirmation giving bidders dates and information on your Web site. Keeping everyone involved informed makes people comfortable with your organization, spiraling your auction to success. Open auctions are fun, but a Silent Auction helps determine the outcome with a little less stress. This Silent Auction Template helps the planner to keep things very orderly, down to the last detail. The Silent Auction Template is especially favored by some art groups.